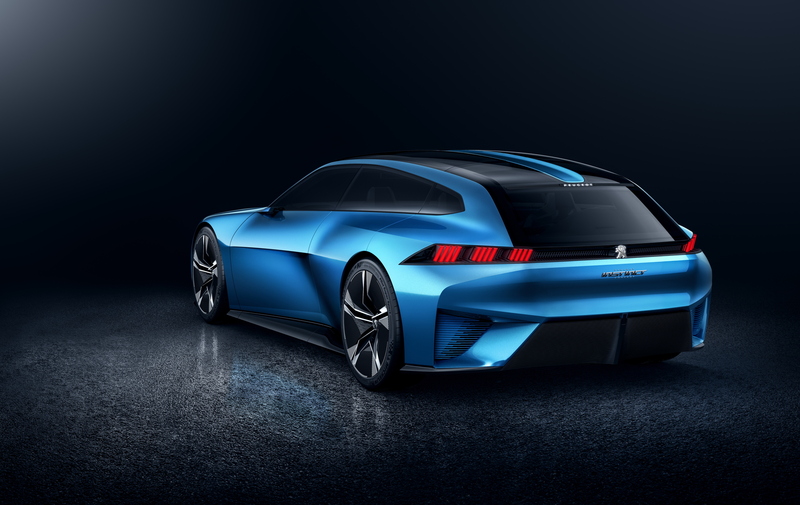 From genuine production cars to outside-the-box concepts, the Geneva Motor Show is the greatest time of year for fans of the latest automotive machinery and, while the show hasn’t even started yet, 2017 is already proving no different as the Peugeot Instinct concept became the latest technological treat to break cover. Designed as a plug-in hybrid with a total of 300hp, the Peugeot Instinct isn’t completely concerned with such trivial pursuits as cornering dynamics and 0-62mph sprints (despite the appearance of ‘Drive Boost’ and ‘Drive Relax’ modes). 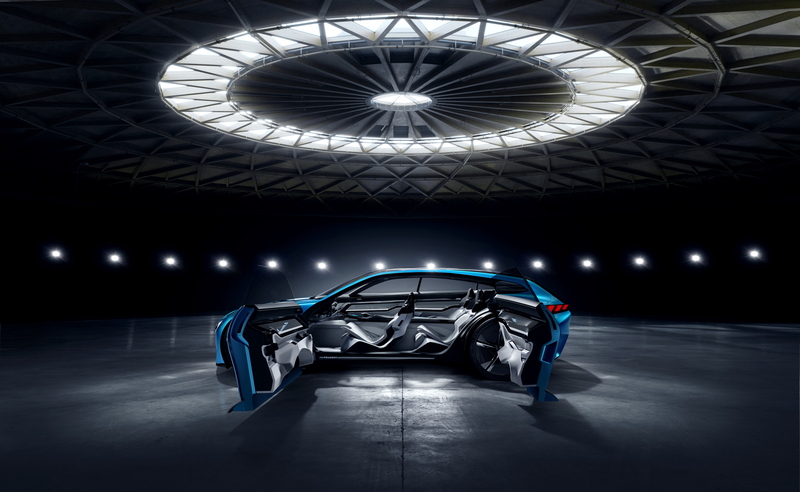 Instead, the French manufacturer’s vision provides a greater glimpse at the future of its autonomous drive platforms, the Instinct concept also coming with ‘Automous Soft’ and ‘Autonomous Sharp’ settings that “balance comfort and optimised journey times”. Using Samsung’s Artik Cloud technology (an ‘Internet of Things’ platform), the Peugeot Instinct is able to sync with a number of the owner’s smart devices, enabling it to adapt its behaviour to your lifestyle. Intrigued? You should be. Inside the spacious cabin, the car can adapt elements such as the ambient lighting and drive modes to match your routines. For example, if you’ve been wearing your smartwatch while working out at the gym, the Peugeot Instinct will automatically set itself to ‘Autonomous Soft’, ferrying you back home in comfort after an intense cardio session. Alternatively, having synced itself to your digital calendar, the Instinct can prompt you to leave earlier for your crucial meeting, making use of live weather and traffic updates. 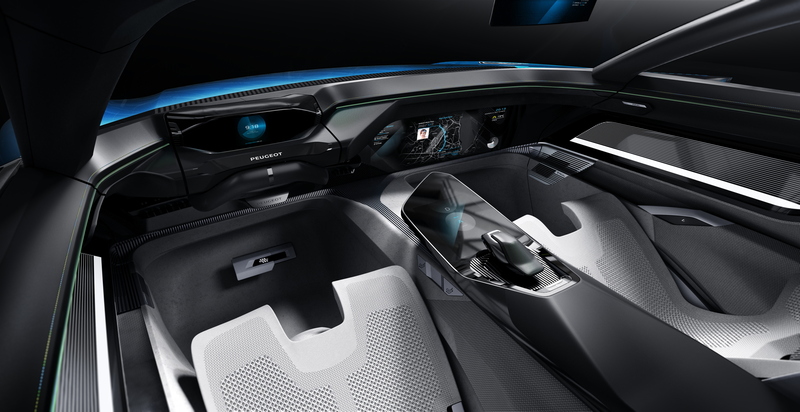 Using a super futuristic version of Peugeot’s i-Cockpit architecture, the Instinct’s cabin focuses more on providing a comfortable lounge atmosphere, using a steering wheel that folds away when the car is operating in an autonomous drive mode. What’s more, the three-piece seats feature individual bases, backs and headrests, allowing you to carefully tailor your pew to your personal preferences. Fancy a snooze? They can even lie horizontally. Not that the Peugeot Instinct makes us feel sleepy. In fact, far from it. Just look at the thing; it’s stunning. It may have been sculpted for maximum fuel efficiency by the sharp-edged shooting brake styling is right up our street (suicide doors and all). The thought of a future where we aren’t always behind the wheel may make our inner petrolhead slightly uneasy but, if the future looks like this, sign us up.